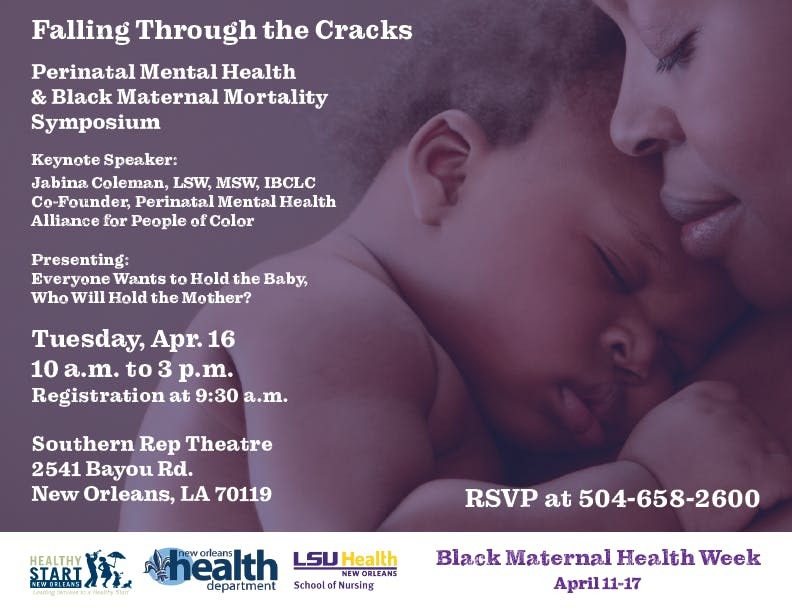 Falling Through the Cracks: Perinatal Mental Health & Black Maternal Mortality Symposium. The symposium is for area clinicians and allied health professionals – anyone who works with pregnant or postpartum women. Attendees will have a chance to discuss issues unique to our region, to share resources and information, and to improve how we help new families. Jabina G. Coleman, LSW, MSW, IBCLC is a Licensed Social Worker and International Board Certified Lactation Consultant. Ms. Coleman is the co-founder of Perinatal Mental Health Alliance for People of Color, where the mission is to support professionals and communities of color who are treating and dealing with the complications of perinatal mood disorders. Her mission is to educate, empower and support families and communities on their journey into parenthood. Presentation Title: Everyone Wants to Hold the Baby, Who Will Hold the Mother?